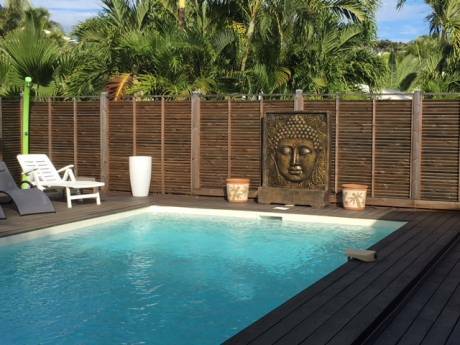 We live a charming house situated in a residential neighborhood in the town Saint- François in Guadeloupe. This city is a seaside resort, ideal for lover of Nature and Beaches. Our house is ideally well placed because she's at five minutes in the car of the center city and at five minutes at feet of the beach. It deals with a high of villa with swimming pool, 2 bedrooms, 1 bathroom,1 WC, a big covered terrace and the terrain is closed. 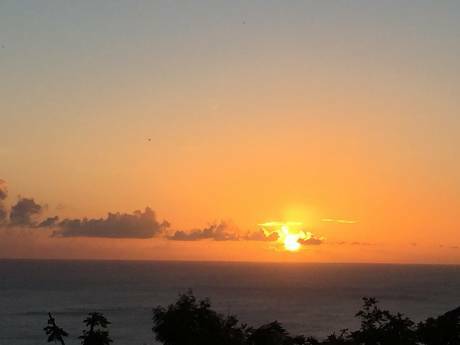 This house is located in Saint- François, near the most beautiful beaches of the island (Raisins Clairs, Rouleaux, Caravelle...), near boats to Désirade, Marie- Galante or les Saintes, which are others islands of the Guadeloupe. Our house is not so far from the Basse Terre and Souffrière vulcano and tropical rain forrest. 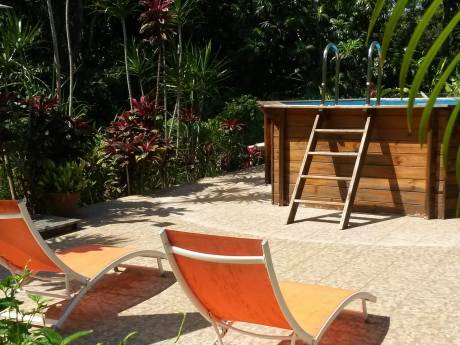 Between Moule and Sainte- Anne, we are very close to all convenience. We are french couple (Romain & Marjorie) living in Guadeloupe in the french west indies, Carribean. Romain is a carpenter and i'm art teacher. We have more activities as surf, tennis, walking, paint...We love Nature that why we have a lot of plant aroud our house. We have two cats, who stay at home during our hollidays. We would like to find people who liked pets and nature for look after our plant and cats during the exchange.